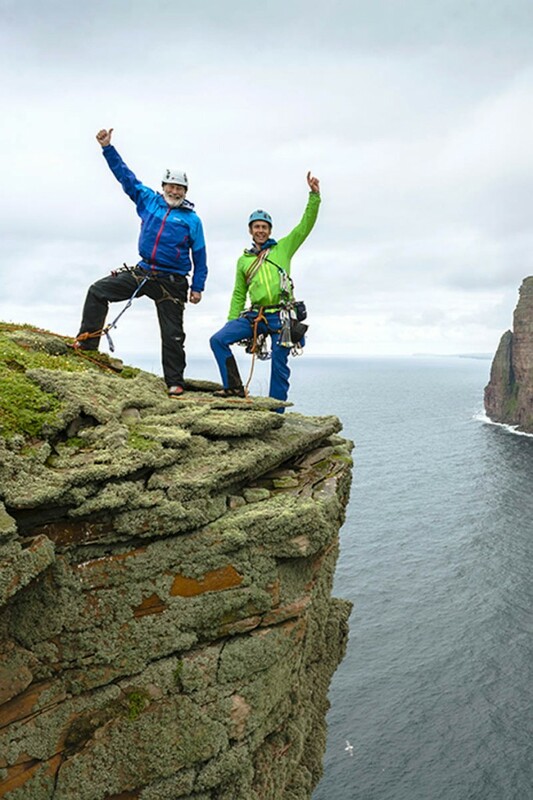 On one of the opening pages, the 80-year-old climber is pictured with Leo Houlding on top of the Old Man of Hoy, testament to the elder statesman of mountaineering’s enduring abilities and fitness. This is a chronicle of his life as a mountaineer and adventurer, which began in the era of hemp ropes and clinker-nailed boots. It charts his progression from UK climbs – including his first fall on the east face of Tryfan – to Alpine climbing and then to the greater ranges, accompanied by a roll-call of luminaries of British climbing. It’s a journey that sees him through the traditionalists’ resistance to the use of artificial protection to the development of modern equipment that has meant pushing the boundaries of climbing and mountaineering, though despite all that, he says the ability to judge where to place protection is at the core of good climbing. And no matter what the developments in gear, protection of the environment should be paramount, he maintains. The book is chock-full of his photography – a career he developed along with adventure writing to supplement his parlous income from climbing – along with some from his many mountaineering companions. Two of those were Doug Scott and Dougal Haston, part of the team led by Bonington in 1975, which saw them take the plaudits as the first Britons to summit Everest, having climbed it ‘the hard way’. It would be 10 years before Bonington himself would stand on the roof of the world. The book also details his brush with death on the descent of The Ogre in Baltistan in which he suffered broken ribs in a fall while abseiling but, more seriously, Doug Scott broke both legs and had to crawl to safety over a number of days. Almost every major expedition is tempered by the death of one of the participants but it was the demise of one of his closest friends, Nick Estcourt, on K2 that almost prompted Bonington to give up climbing. But he persisted and there followed further climbs in the Himalaya, New Zealand, Antarctica and eventually the pinnacle of mountaineering, at least in terms of altitude, Everest, with a Norwegian team. It is, admits Bonington, the dream of almost every climber to summit the highest mountain on earth. Those of us who have found ourselves temporarily ‘misplaced’ in the mountains will take some comfort from the fact that even the best go wrong sometimes. On a trip to Greenland, Bonington subsequently discovered his party climbed the wrong mountain, with inaccurate maps to blame. Yet still, he finds himself in scrapes. At the age of 58, he survives a near-fatal 800ft tumble in India, but finally, by the time he hits 67, he admits to himself he is ‘noticing his age’. Big mountain climbs give way to Himalayan trekking and rock-climbing in Morocco and a Kilimanjaro trek though in 2000 he still manages to slot in a first climb of a Himalayan peak with some of his family, a long-cherished ambition. The final chapter details how, at the age of 80, still reeling from the recent death of his wife Wendy and with a pulled back muscle, he completed his second ascent of the Orkney sea stack The Old Man of Hoy, in the full glare of the television cameras and in the company of rising climbing and adventure star Leo Houlding. And, as with many good books, Chris Bonington Mountaineer has a happy ending, with new-found love and a marriage to Loreto, the widow of long-time friend Iain McNaught-Davis. This updated autobiography is doubtless close to the full account of one of the most enduring and varied lives in British mountaineering, though who knows, Bonington may yet pull more surprises. 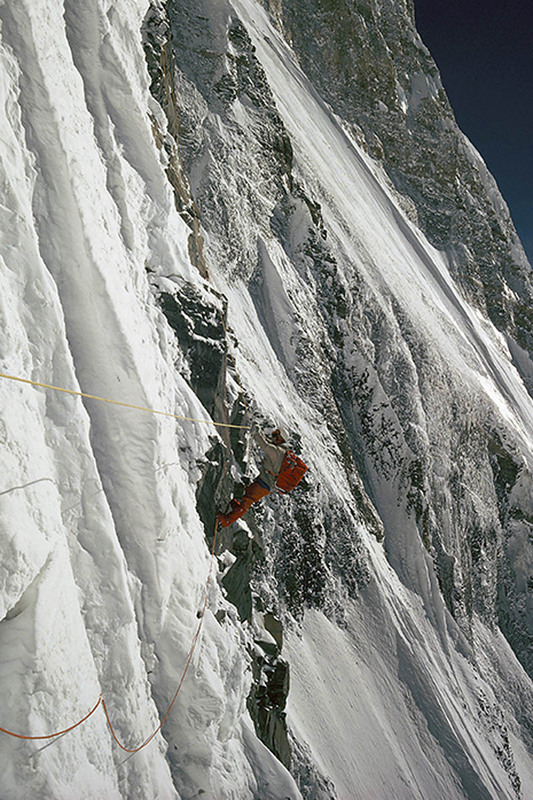 The progression of his climbing is accompanied by a continuing increase in quality of his photography as he gains more experience – and improved equipment and technique – and many of the images in the book give a fantastic chance to non-mountaineers of seeing the hidden world only a few adventurers witness. If there’s a fault, it’s in the lack of non-mountaineering detail. It would be enlightening to have a little more background, and insight into what makes this extraordinary figure of the British outdoors tick. 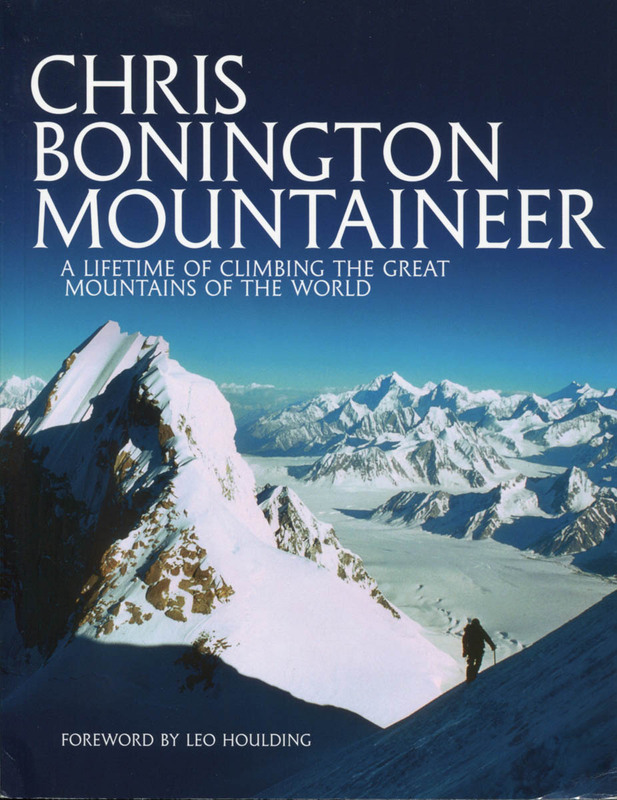 Chris Bonington Mountaineer, a lifetime of climbing the great mountains of the world, is published on 7 November by Vertebrate Publishing, price £20.